As a kid, Jennifer Garner says everything she ate was made by her mother. "My mom grew up on a little farm in Locust Grove, Oklahoma, and every meal and snack in her house was sourced directly from the farm," the actress, known for her roles in 13 Going on 30, Alias and Dallas Buyers Club, tells Entrepreneur in an email. "She was determined that my sisters and I were as connected to food as she was." Since Garner, who was born in Houston, Texas, and raised in Charleston, W. Va., has herself become a mother (her kids are 5, 8 and 12), she says she has continued that tradition, with blueberry bushes and strawberries and vegetables growing in her garden, along with chickens. "Of course, our circumstances are a little different. I now live in Los Angeles and lead a hectic life, which includes acting, philanthropy, business and travelling, but I’ve always prioritized food and mealtime with my kids," she says. "I have three lunch boxes to pack each day and understand the problems that must be solved with serving fresh food to young children." That's what has sparked Garner's interest in entering the food space, which has also seen fellow actresses Sarah Michelle Gellar and Kristen Bell co-founding food companies. 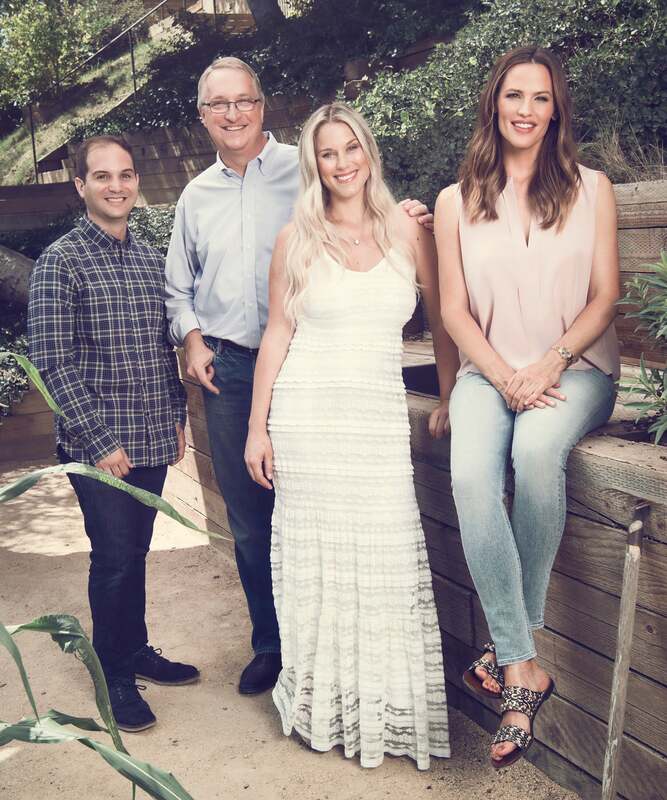 Through an advisor, she met Cassandra Curtis and Ari Raz, who in 2015 created an organic, cold-pressed baby food pouch, and John Foraker, a food industry veteran who took Annie's public in 2012. 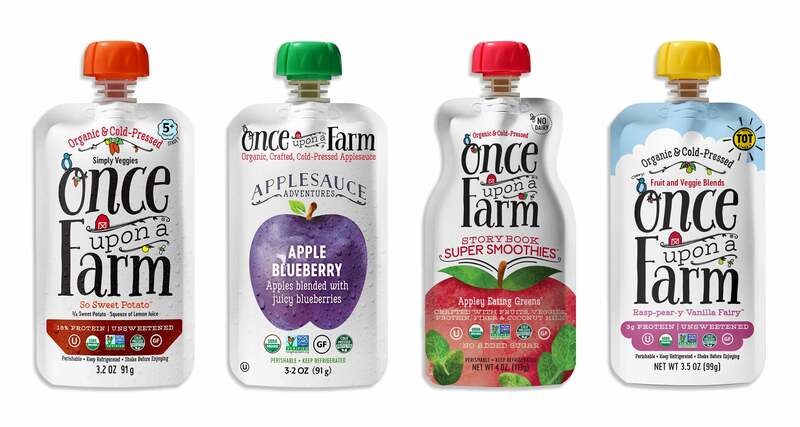 Garner joined them in 2017 as a co-founder of Once Upon a Farm, a food company that currently offers a line of cold-pressed organic baby foods and applesauces and are available in thousands of retailers nationwide. Garner, who is the company's chief brand officer, shared more insights about entering the food business and Once Upon a Farm's biggest challenge. In my work with Save the Children, where I have been an ambassador since 2008, I have visited a ton of families in rural America, and kids just do not have access to fresh, organic food. Even though I have advocated for this issue in the government at both a state and national level, I understand that business drives change and wanted to find a company that could get nutritious food out to kids. I was introduced to Once Upon a Farm through an advisor who put me in touch with John, Cassandra and Ari. After speaking with them and putting our minds together, I realized we all shared the same idea of building a brand that could drive positive social impact. The dynamic between the four of us is essential. Each of us has a specific role in the business, and together, are the engine behind this brand. I believe in the motto “How you do anything is how you do everything.” When I started with Save the Children, I was involved on a daily basis from the start. With Once Upon a Farm, it’s the same. I am very involved on a variety of levels, such as innovating on new products, participating in design, going on sales calls and making sure the world knows we exist. Every industry has its own set of challenges, what is a big one in your industry? How were you able to overcome it? One of the biggest challenges we face in the baby-food industry is to bring awareness and education around shelf-stable versus cold-pressed baby food products. We want to become a recognizable name in the refrigerated aisle and in order to do so, we need to get people to rethink what healthy baby food is and perhaps that will encourage parents to shop in the refrigerated aisle the next time they purchase food for their babies. When we started Once Upon a Farm, the first decision we made was to say a big “No!” to heat pasteurization, which lets you keep jars or pouches in the pantry for up to two years, but completely zaps nutrients and taste. So we cold press our fruits and vegetables using a method that puts them under extremely high pressure -- 87,000 pounds per square inch -- to lock in flavor, texture and nutrients, while keeping food fresh and safe. Another challenge most startup companies tend to face is not having a clear mission or solid set of core values from the beginning. We believe that consumers are most engaged when they feel that they share the same values with the company they are purchasing from. In order to build a leading kids nutrition brand, we knew it was critical that we get clear on our brand mission and our core values to be able to connect with our consumers on a deeper level. With the help of our whole team, we can proudly say that we’ve defined our mission and values from the start. What marketing tactic has been the most effective for your brand? Why? Since the beginning, we have based our marketing on creating authentic relationships with parents and meeting them where they are. While I’m newer to social media, I know how effective it is to have real-time conversations and get immediate feedback on what’s working, what’s not and what parents care about. I’m really proud of Once Upon a Farm’s social media presence -- from the gorgeous content we create, to the organic connections we’re making with our consumers every day. It has been a huge part of growing our brand. We also love grassroots marketing and getting out there and talking to parents in real life. From trade shows to moms groups to playdates at the park, there is nothing more effective than talking to moms and creating brand ambassadors that will spread the love on our behalf. What's the most unusual thing about working in your niche? As I began learning more about organic, one of the most compelling findings to me personally is that most consumers make the switch from conventional food to organic when they become a parent. Of course, this makes complete sense: as a parent, you make a promise to your child that no matter what your life circumstance, you will try to give them the best you can. I’ve seen this manifest itself a few ways in my life, including my childhood experience and having children of my own. What's your goal for your business for the next three years? Giving underserved communities access to real foods is something I am personally passionate about, and is something that Once Upon a Farm is rallying around. We hope to be able to partner with many other businesses to help drive social impact around this important issue. We can’t just talk about feeding the top 10 percent of kids, or 50 percent of kids. We have to talk about how to give that nutrition to the bottom half. Our long-term goal, and something I’m the most passionate about, is to be able to offer Once Upon a Farm products to lower income mothers receiving assistance through programs like WIC, which provides federal grants to states for supplemental foods and nutrition education to women who are pregnant or nursing and kids under 5. Can you tell me something interesting about yourself that you think helped launch and grow your business? Memories of my childhood visiting my mom’s farm, along with my own experience as a mom, and what I’ve witnessed through my work with Save The Children, have all led me to this point. Together with the rest of my team, we are on a mission to disrupt the baby and kid food categories with fresh foods that are as close to homemade as possible. We are converting my mom’s farm in Locust Grove, Okla., into a working organic operation that will eventually become part of Once Upon a Farm’s supply chain where we’ll harvest fresh fruits and vegetables, starting with kale, blueberries and persimmons. To be able to see this farm come full circle -- from feeding my mom and her family decades ago, to becoming a working organic farm that will feed thousands of children across the U.S. -- there is nothing more gratifying and exciting for this daughter of a farm girl. And just like my mom, we’re putting our hearts and souls into everything we make and every organization we support.